Michelle Rambharose and Shauna Thompson. Romeo and Juliet. Repercussion Theatre. 2018. Photo Studio Baron. 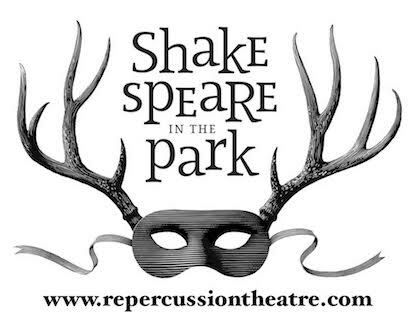 Repercussion Theatre’s latest offering is a fascinating look at the age-old Shakespearean tale of Romeo and Juliet. While the Theatre has had a very interesting history of productions that attempt to question the binary of gender representation. This time the refreshing creative choice was to have both the protagonist played by two female leads (both as actors and characters in the play), and keeping the rest of the core of Romeo and Juliet’s eternal romance intact. The actor playing Romeo (Shauna Thompson) is perfectly melancholy and poetic, adapted deftly in the mold of the lovelorn lover that Romeo is supposed to be. Juliet played by Michelle Rambharose is the epitome of assumed beauty, grace and the allure that Romeo craves. The two are equally matched, though Romeo enjoys the advantage of more stage time. But the laurels for the show belong to Adam Capriolo playing Mercutio (also in parts the Prince). Mercutio is played brilliantly by Capriolo, with doses of sarcasm, humor and out and out entertainment. I have seen many adaptations of this romance, but this rendition of Mercutio was quite amazing. A truly outstanding performance. Mercutio’s death, timed right before the short interval mid-way its total runtime, puts breaks on the pace of the overall narrative. There are also some long drawn out conversations between secondary characters that get a bit tardy, but for the most part the cast is on point and engaging. Cara Krisman deserves special mention for playing Benvolio, the perfect compatriot (especially in banter) to Mercutio. I loved how gender role reversals weren’t just for the protagonists, Nadia Verrucci plays Capulet with decorum, while Anton May playing Lady Capulet with such aplomb and feisty fervor, also added the needed dramatic effect. Set. Romeo and Juliet. Repercussion Theatre. 2018. Photo Studio Baron. Romeo and Juliet. Repercussion Theatre. 2018. Photo Studio Baron. The set design (by Ana Cappelluto), though mostly minimalist, is efficient and effectively used. I also particularly loved what Sophie El-Assaad did with the costumes. They had flair and seemed out of a playhouse from the 16th century, but equally at home in 2018. With Shakespeare, it’s always difficult to find the right balance between artistic freedom and trying to stay true to a story that is legendary. It’s also more challenging to make such a well-known story seem fresh and equally engaging. Amanda Kellock and Shanti Gonzales’s Director and Assistant Director duo were able to break gender stereotypes, create fight scenes that didn’t have swords and knives and remain dramatically effective without being over the top. All in all, a thoroughly engaging performance that tells the age-old story of two households in Vernoa. Perhaps next time creative liberties would set the households someone in the burbs of Montreal and bring the play really home for its audience.